Have you been injured due to a slip & fall? If your injury is due to negligence, you deserve to have your medical bills covered, as well as pain, suffering, and loss of wages. Williams & Thorson, LLP has over 15 years of experience representing clients with personal injury claims, as well as premises liability claims. They are aggressive and experienced in how to file these claims to get results. 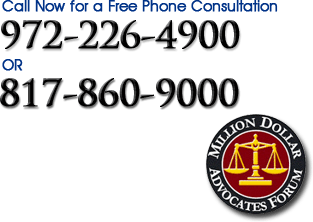 If you or a family member has been injured, you want to give them a call and discuss your situation with them. A slip & fall injury can be very serious, as it can cause you to suffer for years. From back issues to brain injuries to hip, arm, and leg pain, there are many things that you may suffer from due to a fall. While it is hoped that you will be able to get back to full function, many times you are faced with having to quit work, due to a long term or a permanent disability. That is what Stace Williams & Paul Thorson focus on – helping people like you get what they deserve and need. Premises liability means that a business or owner of a building, parking lot, etc. has a responsibility to keep the area free of obstacles and in good shape. If they are negligent in upkeep, this could lead to an injury. They are liable to pay not only your medical bills, but also compensate for loss of wages, pain, suffering, and loss of function. They are liable for what happens on their property if they can be found negligent. The premises’ insurance company will most likely try to settle with you, however, you want to be sure that you do not accept a settlement without a consultation with your attorney. Do not sign any agreement, until you and your attorney are both in agreement. They are concerned about their own interests, rather than yours, so it is important that you retain a legal team that will fight for your best interests. If you have been injured in a slip & fall, you have the right to file a premises liability claim. Whether you were injured and you are recovering or you have a long term or permanent disability, you should be compensated. Call (972) 226-4900 or (817) 860-9000 to discuss your case.